Hendrickson is a leading manufacturer and supplier of premium fire/rescue suspension components to global fire/rescue markets. Our legacy embodies over 100 years as the leading innovator and manufacturer of suspension systems and components for the global transportation industry. Utilizing world class design, testing and validation capabilities, Hendrickson provides robust solutions that feature the ride quality, vehicle handling and stability required for fire/rescue applications around the world. 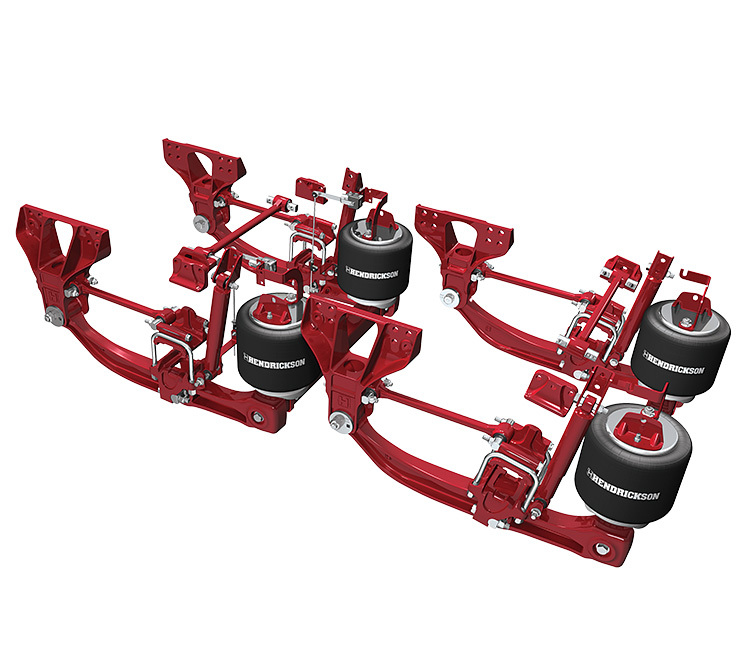 FIREMAAX® EX heavy-duty rear air suspension delivers the superb ride, stability, and handling required for fire and rescue vehicles. Combining a robust design with performance enhancing features, FIREMAAX® EX provides a package of benefits previously unavailable in any one emergency vehicle air suspension.